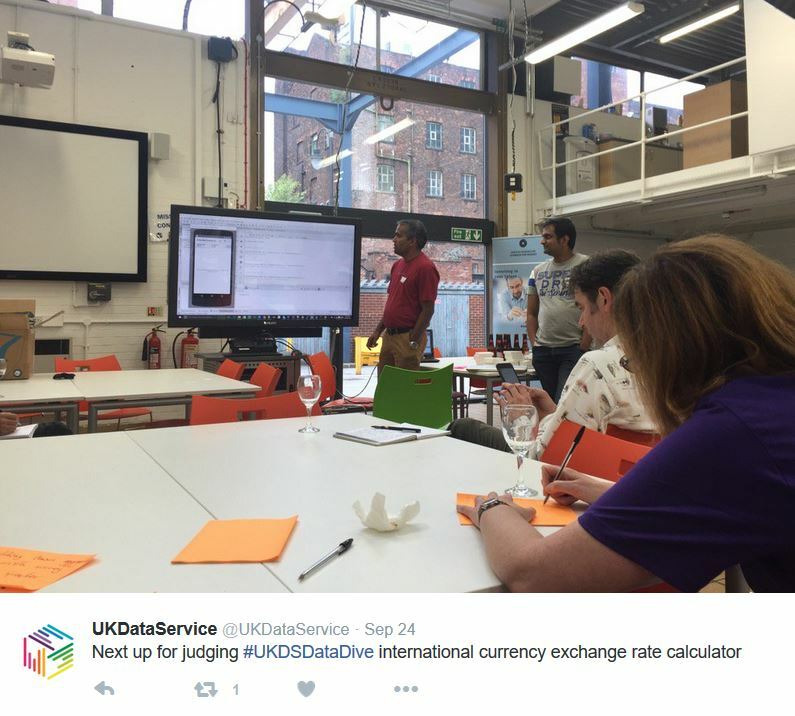 On Saturday 24 September we held the UK Data Service’s first ever Open Data Dive at The Shed, Digital Innovation Hub at Manchester Metropolitan University. International Data Specialist, Celia Russell updates us on the day’s activities and achievements. The aim of the day was to create a space for people to dive into the open data hosted by the Service and think of ways to crunch, beautify and re-engineer the data resources to create something new. During the day we ran short parallel workshops on finding and understanding data, using APIs and Big Data, and had a 3D printing show-and-tell over lunch (thanks to @edintheshed and @suhadl). 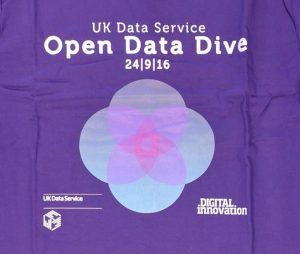 The UK Data Service hosts some major open data assets. We distribute the main census outputs of the 1971, 1981, 1991, 2001 and 2011 UK censuses as open data, including much boundary and flow data. We also host the open data publications of international agencies like the International Monetary Fund, OECD and World Bank. These are big global databases with thousands of indicators on the people, economy, environment, health, education, development, governance, migration, trade and labour markets of every country in the world. 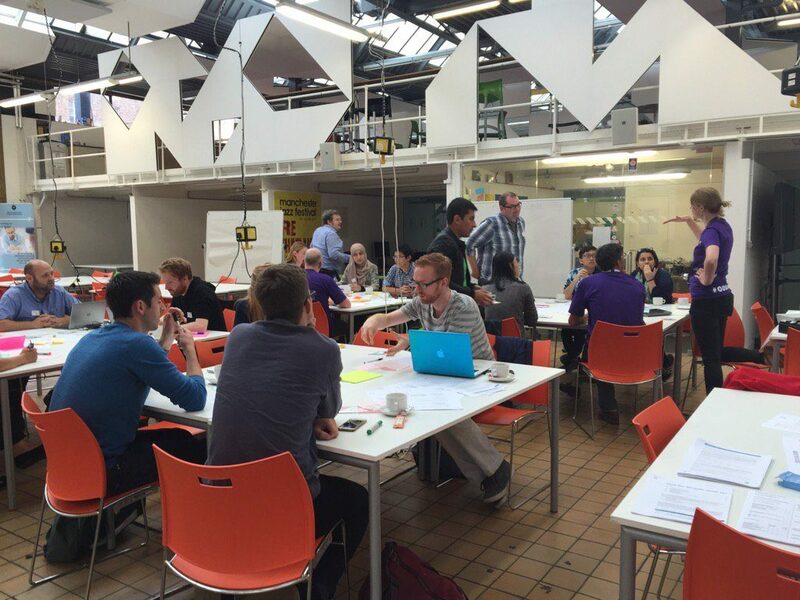 We are delighted to have brought together researchers and entrepreneurs from the higher education, policy and commercial sectors to develop use cases – together demonstrating the potential of our open data with other open data. 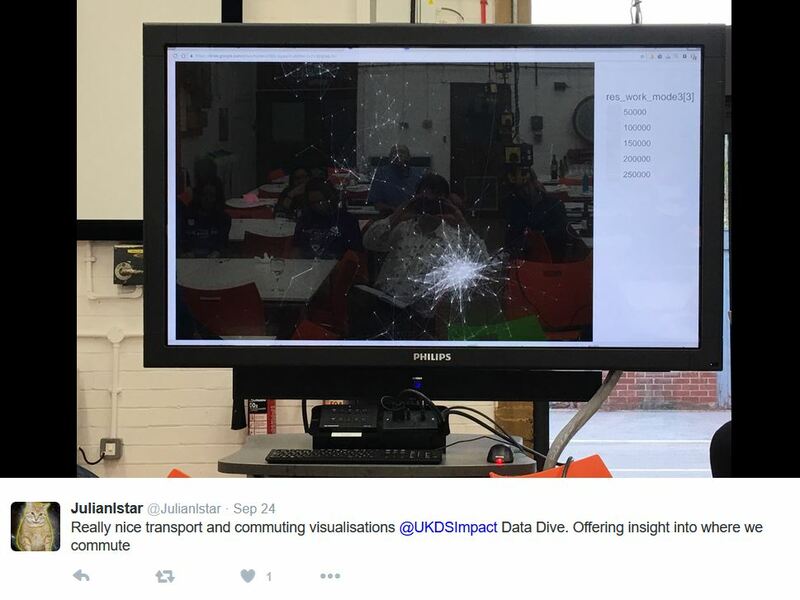 By close of the day we had a range of pilot projects showing the data in use and actionable innovation. We were really amazed by the quality of the projects produced in just a few hours on the day. 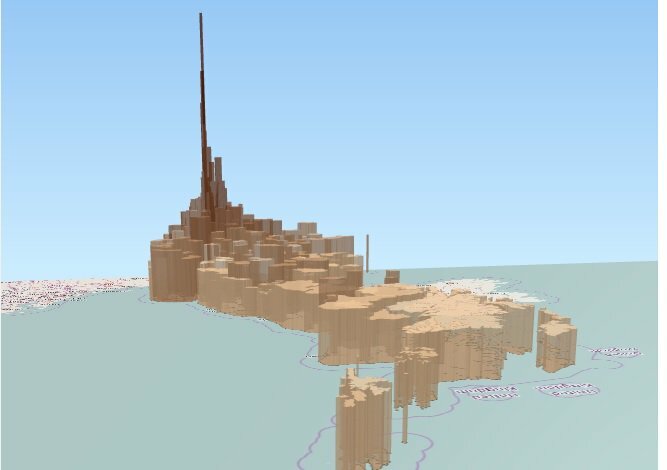 Winners of the best 3D data visualisation were Phil Jones from the University of Sheffield and Andy Dudfield from ONS with their fantastic interactive 3D visualisation of GB house prices, which you can see and ‘twirl about’ here. We like to call it the ‘London Spike’. We will be 3D printing this winning entry. 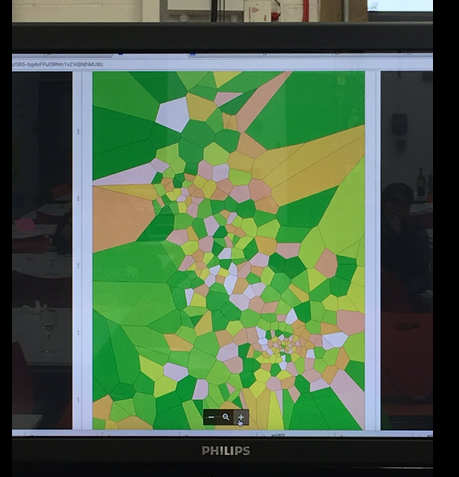 Special mention also to Callum Staff from the Department for Education, Phil Reed from University of Manchester and Rich Pickford from Nottingham Trent for their beautiful commuting data visualisation based on Voronoi polygons. Teams also developed commuting visualisations, a great exploratory visualisation using ‘R’ and an international currency exchange comparison application. 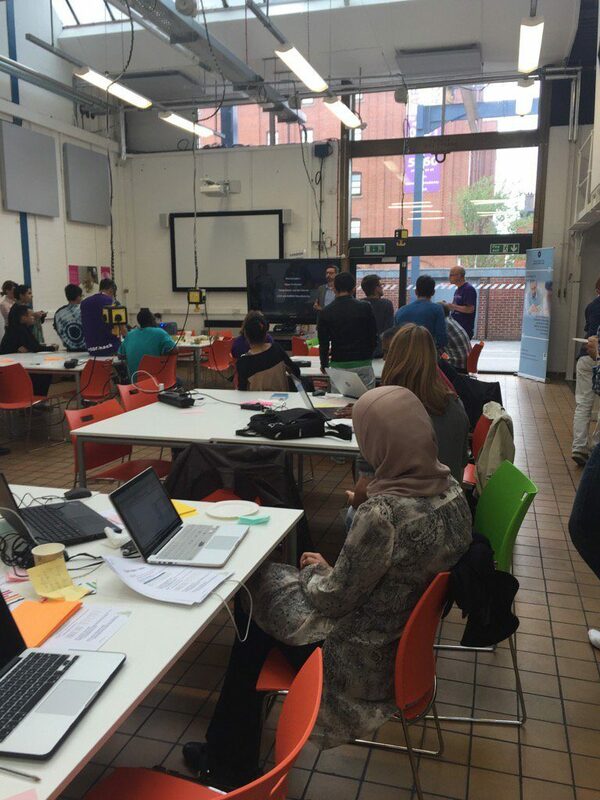 Thanks so much for organising the hack day on Saturday – it was one of the best development activities I’ve done in a long time. Really enjoyed today. Thanks for having me. Thanks for organising this great event! Learned a lot today and will definitely be back for future events! I really enjoyed the event, and for me it was a really interesting. I got to work with like-minded people from other organisations trying to solve similar problems with open data, so in that sense it was also useful. The event is absolutely brilliant. 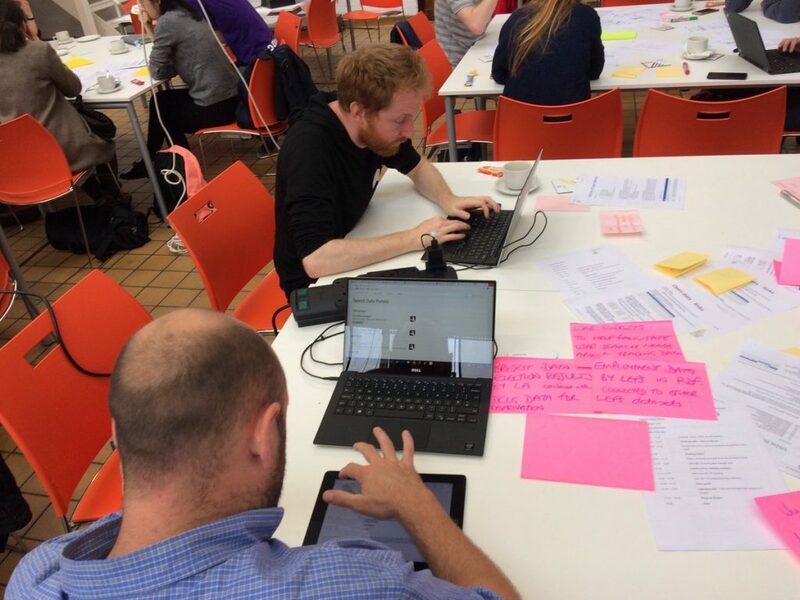 We’d like to thank everyone who came along and contributed on the day, especially our judges Julian Tait from Open Data Manchester (@Julianlstar), Mike Jones from Jisc (@dr_mike_jones) and our very own Victoria Moody (@UKDSImpact). Big thanks also to the brilliant team at Digital Innovation for hosting us. Find out more in our Storify of the event. 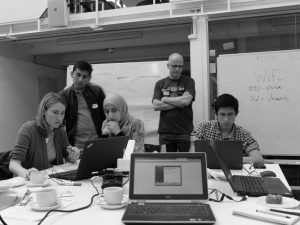 We learnt a lot and are planning our next Open Data Dive on Wednesday November 9 as part of the Manchester Festival of Social Science – hope to see you there!